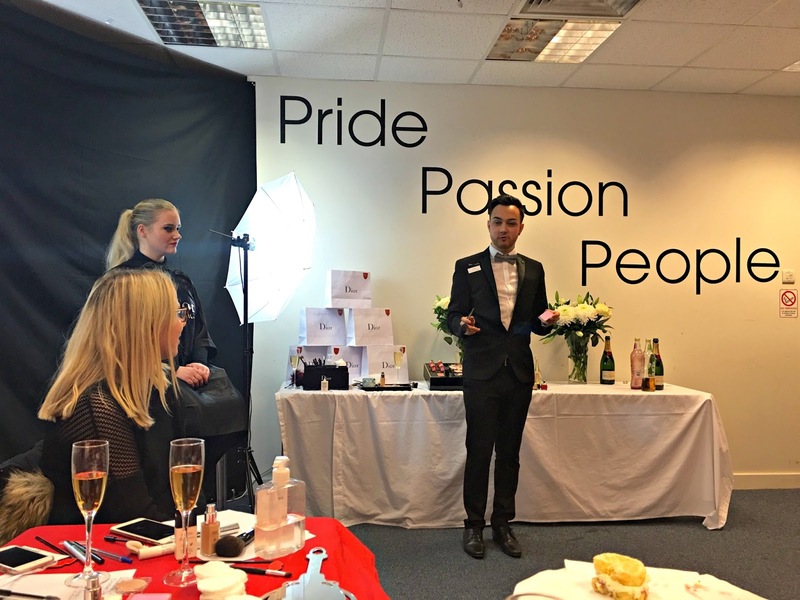 I was recently given the wonderful opportunity to attend the Dior Cardiff Bloggers Event at Debenhams, Cardiff. This was my very first bloggers event, so I was rather excited! I love the Dior brand, so naturally this was something that I didn't want to miss. I arrived at the Dior counter, along with several other South Wales based bloggers, and we were warmly welcomed by Anthony, Dior Colour Stylist, who hosted the event. 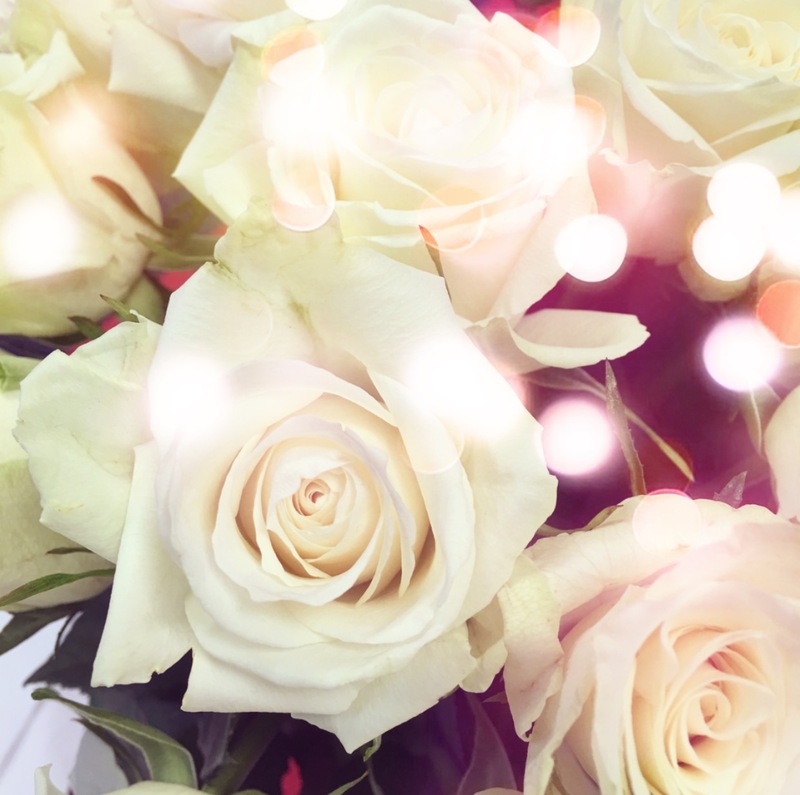 Anthony then took us behind the scenes to a room filled with Dior cosmetics, champagne, vases of white roses and afternoon tea-style cakes (😍). Anthony told us a bit more about himself and took us on a journey into the luxurious world of Christian Dior. We learnt about the fascinating history of the brand, and how Christian Dior was a master at creating shapes and silhouettes, and making women look fabulous. Anthony encouraged everyone to ask questions, and was keen to hear what our favourite Dior products were. His passion, pride and enthusiasm for the brand really shone through! Anthony then gave us a masterclass on creating the perfect Dior look, and we were able to try the products as he told us more about them. It was great to learn about the innovative, luxurious cosmetics and skincare and pick up some techniques to get the flawless Dior finish. My favourite products in the masterclass were the Diorskin Forever Fluid Foundation (everlasting wear, pore-refining effect, shine control, SPF 35), and the Diorshow Maximizer 3D Lash Primer (this coats each lash with a dense, lightweight layer to intensify the effects of your favourite mascara). 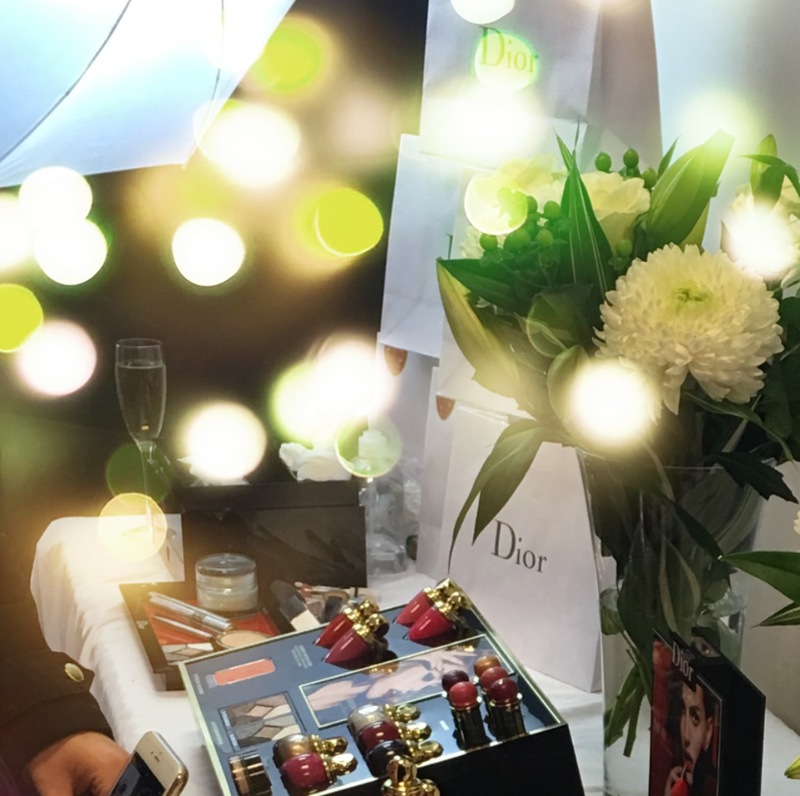 At the end of the masterclass, we were taken back downstairs to the Dior counter, where we had the chance to purchase some Dior products and take home an elegant Dior VIP goodie bag, filled with Dior fragrance and cosmetic samples. I purchased a couple of gorgeous Christmas gifts for my friends...I'd love to tell you what I got them but that would ruin the surprise!